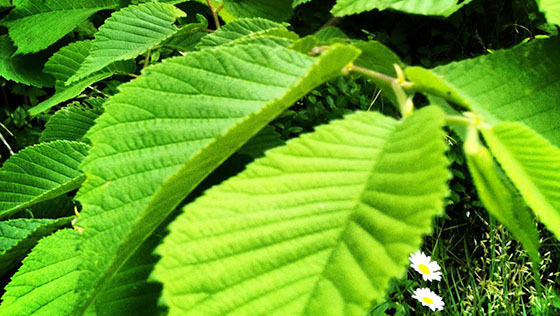 Smooth and silky, the inner bark of the slippery elm tree is what gives our Throat Coat® and Herba Tussin® teas their, yes, slippery qualities. Here’s a look at the wild collection of this amazing bark in the woodlands of American Appalachia. A wildcrafter peeling off the outer bark. Our certified organic slippery elm bark is collected in its natural habitat by wildcrafters during the spring and early summer. First, the collectors carefully pry the bark from the tree in long strips. 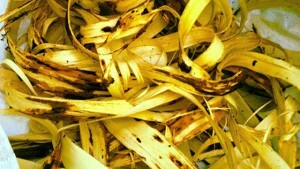 Then, the inner bark is carefully peeled away from the outer bark, and is sorted, coiled and gathered into clean sacks, which are used to transport it for additional cleaning and processing. Our wildcrafting partners approach their collection of slippery elm bark with reverence and a deep love for the trees of their hilly forests. Unlike more conventional means of harvesting, which involves cutting down the tree, our collectors leave a vertical strip of bark a foot or more wide, so that the tree will continue to thrive and can be harvested again in several years. This is a freshly harvested tree. 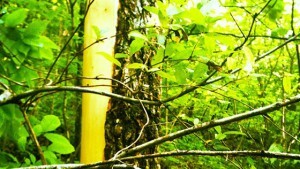 The bark will regrow in a few years and be ready to harvest again. 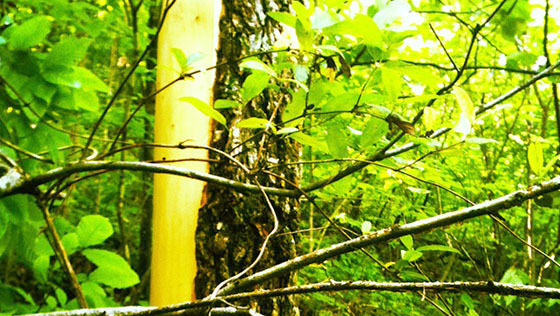 Wildcrafters have observed over time that their method of bark harvest appears to help reduce the spread of Dutch Elm disease, which can devastate slippery elm populations. 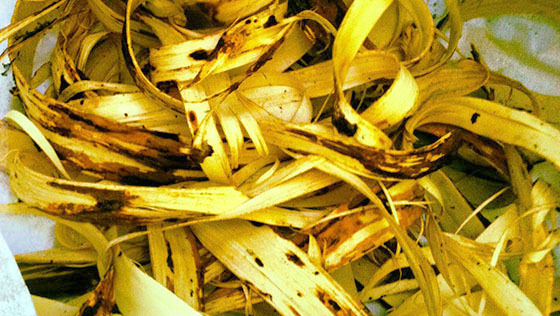 Bark harvesting decreases the habitat for insects that spread the disease. 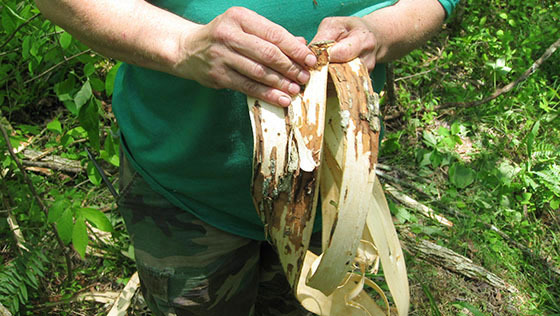 The rural Appalachian people have been collecting slippery elm bark for generations and are dependent upon this resource for their livelihoods. Their sustainable harvesting practices ensure high quality barks will be available for generations to come.